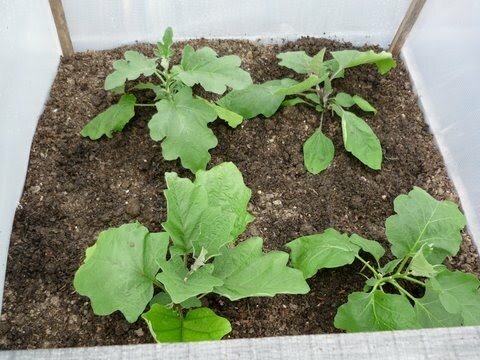 In my view, the two keys to eggplant success in home gardens are strong, early plant growth and protection from pesky flea beetles. If flea beetles find your plants AND the plants are weak, you will be buying local eggplant instead of growing local eggplant! Jane Hayes is a Howard Co. Master Gardener who grows big eggplant crops each summer with her husband. 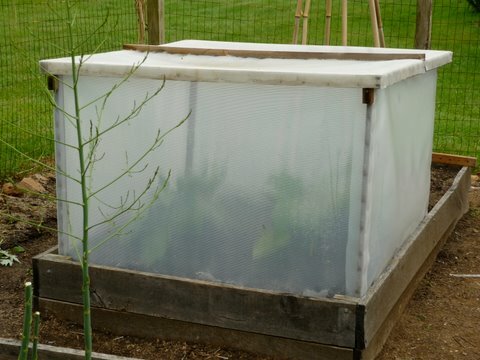 They built a simple plastic-covered box with removable lid that encourages early growth and excludes flea beetles. 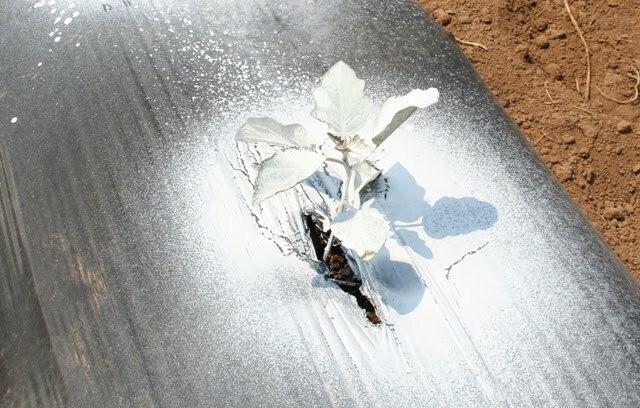 They remove the frame when plants really start to take off- right before flowering. At that point flea beetles are not such a threat. Howard Co. Master Gardener Linda Branagan runs the small demo garden at the Home and garden Information Center. 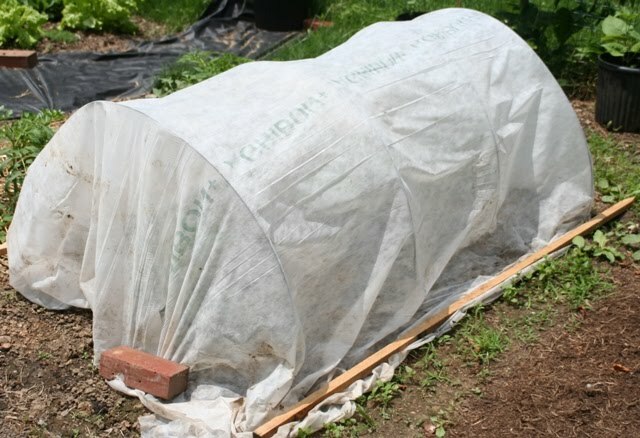 She created a low tunnel using #9 wire hoops draped with a floating row cover. Here again, you get a double benefit of enhanced growth and no flea beetle access. 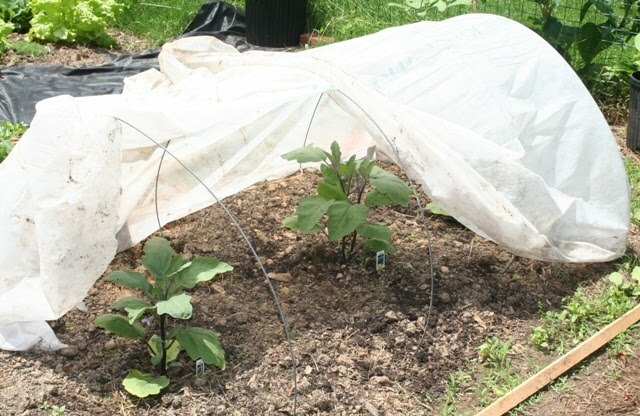 The hoops are essential because eggplant foliage is sensitive and may burn if the fabric lays directly on plants. Thanks, Jon – very timely as I'm visiting a community garden this weekend where they've had flea beetle trouble, and need lots of advice to give! True, Jon, Jane's eggplants are big, but the ones I saw were also perfect–so you owe us a “follow-up photo” later this summer. Erica- I've dusted with wood ash twice and will probably spray Surround this week. My plants are on black plastic to push their growth but I take NO chances with flea beetles. Next year I may try a low tunnel. Bob- I'll try to do that. 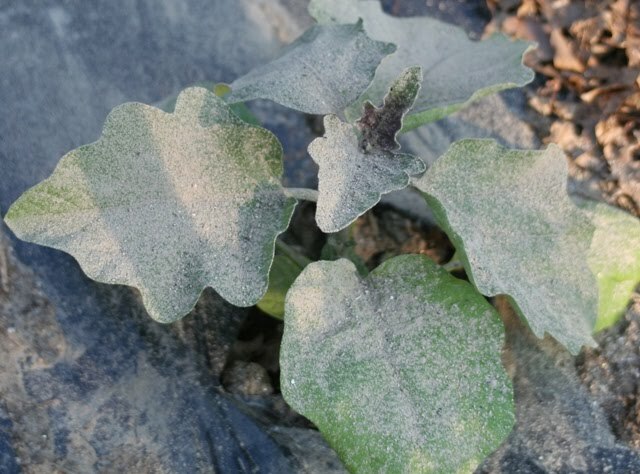 I read just last week that planting a pungent herb near your eggplant will deter flea beetles. One of my eggplants had two flea beetles on it and had a good time making holes in the plant. I planted some rosemary and sweet genovese basil all around the eggplant and guess what? No more flea beetles! It's been about a week now and they are no more! Yay! 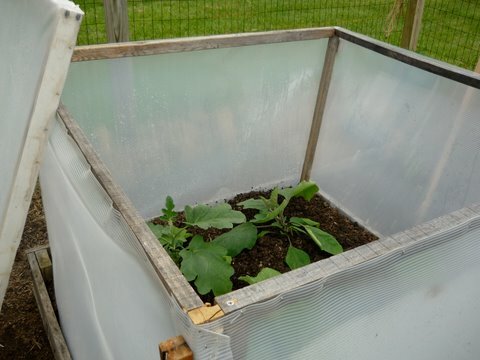 This was a great post…I may try the row cover next year on my young eggplants. It would be interesting to see if other gardeners could achieve the same repellent effect using companion herbs. I don't know but I say it's worth a shot!